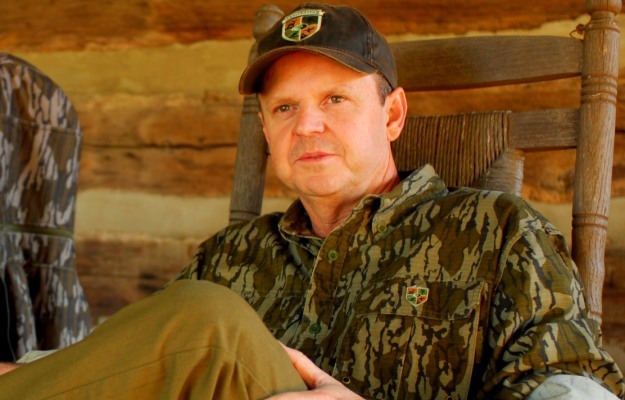 Dana R. Rodgers | Originally published in GameKeepers: Farming for Wildlife Magazine. To subscribe, click here. They just couldn’t help themselves. The temperature was in the single digits with a steady gale from the northwest. As I sat in my ground blind this cold December afternoon I watched a steady parade of whitetails march from thick bedding cover out into my five acres of corn and soybeans. It was the only grain left standing for miles after all the neighbors' combines had finished running. The thick blanket of snow covered those barren fields. The herd really had no choice but to congregate on the last available food source I’d left for them. That evening I arrowed a fat, four-year old that would score in that 140-inch range. I’d seen him on trail camera pictures from previous winters, but he didn’t live on this farm. Like most of the other deer, he wound up here because this property held the best food. For us gamekeepers though, it’s not just about hunting season. 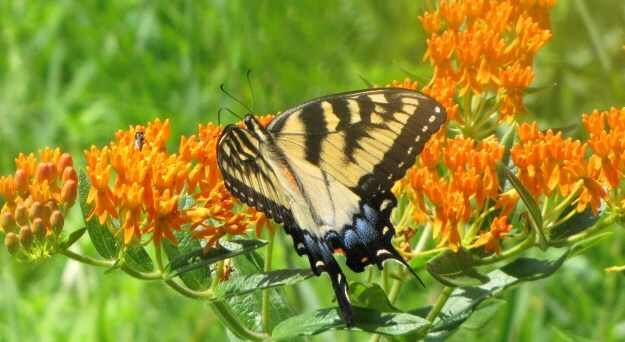 It’s about improving habitat and available nutrition for the overall health of the wildlife. Poor nutrition can derail separate aspects of an otherwise well-planned management program. So obviously, we managers seek to provide higher quality food. Understanding and managing deer nutrition is complex because the quality of food can be defined in many ways and deer nutrient requirements vary seasonally and regionally. From a nutritional standpoint, energy is the potential to do work. Energy is made available when organic compounds are metabolized. The composition of food determines its gross energy content. For example, carbohydrates have 4.5 kcal/g and fats have 9 kcal/g of gross energy. Proteins and minerals are also an important piece of the puzzle, but they are relied on more heavily during the spring and summer, when fawns are in their final weeks of development and antler growth is taking place. Energy is needed more during the fall and winter stress periods. season whitetails in northern latitudes. Carbohydrates and fats are the two primary sources of energy for deer. Fats are high in gross energy and are highly digestible. Carbohydrates can be highly digestible (corn, beans and other grains) or poorly digestible (mature grasses). A steady diet of high quality protein that is easily digested is essential in maximizing antler and fawn development. There are many different crops that will help provide a great diet of nutrition to your wildlife, but by far my favorite plantings involve spring annuals such as corn and soybeans. With a protein level of 7 to 10 percent, corn is high in fat and carbohydrates. In addition to providing a tasty meal and energy source for deer, corn makes outstanding bedding and thermal cover for deer if left un-harvested. Here in the northern plains, a few acres of standing corn serves as a winter bedding area in addition to a high-energy food source. Corn prefers well-drained, loamy soils with a pH between 6.0 & 7.0. Herbicides or the use of some form of cultivation will be necessary in order to establish a good stand. By planting Roundup Ready corn, you can remove the need to till and completely take care of any weed competition. That’s the option I prefer but it comes with more expense. Planting times vary depending on location, but the key is waiting until the soil temperatures reach 50 degrees. I always wait until after the farmers start ramping up to plant their crop so I know it’s safe. Plant into moisture, but consider the effects of planting too shallow (< 1.25") or too deep (> 3"). Corn can be planted by broadcasting but the returns will be much better if you use a row planter or a no till drill. Drilled corn is normally planted at a rate of 5 to 10 lbs per acre, and the broadcast rate will be higher, in the range of 10 to 15 lbs per acre. 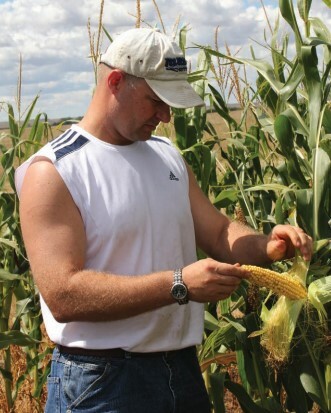 Corn requires good soil fertility and is a heavy nitrogen user. Fertilize at planting per your soil test recommendations, and be prepared to top-dress the crop with additional nitrogen if needed during mid-growth. High nitrogen fertilizer like 46-0-0, or "Urea," is selling for $530 a ton in my area. My local Extension Service recommends 250 lb N/acre, which is usually applied in two separate applications to help increase efficiency. It is hard to beat corn as a fall and winter attractant in areas that receive enough rainfall but it’s certainly not a cheap crop to plant and maintain because of its high need for nitrogen and if you choose to use the Roundup technology (seed and chemicals). If pressed to plant just one annual grain, I would choose soybeans every time. I plant them every year right after the corn and the soil temps rise to 55-60 F. Beans draw deer like a magnet from the time they sprout from the ground all the way to the end of winter and the last pod. The stems and leaves provide great forage and browse all summer long, until the beans mature and turn yellow. But after they dry down the deer are right back on them for seed pods. It’s no wonder with the pods pushing 30% crude protein. Soybeans should be planted at a depth of 1” to 1½” and never deeper than 2”. The optimal plant population is between 100,000 and 120,000 plants per acre. That rate will depend on what type of equipment you are planting with and how well it meters seed. If using older equipment or broadcasting, I would bump the seed rate population up by 20%. 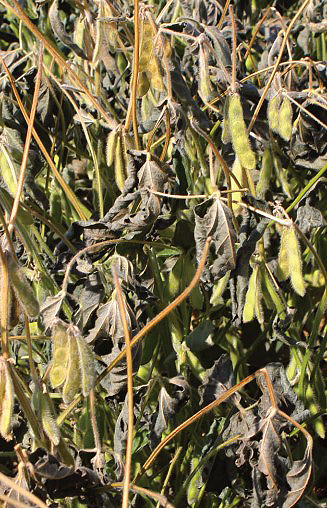 Soybeans are a pretty easy crop to grow, but they do present challenges. Deer love them so much they can easily wipe out a small plot as fast as the beans germinate. To help combat this, I don’t plant soybeans in plots smaller than one acre, and larger is better. Experience in your area will tell you how much you need to plant to keep a stand viable. The Roundup Ready varieties are my favorite and the only type I use when planting in a standalone crop. 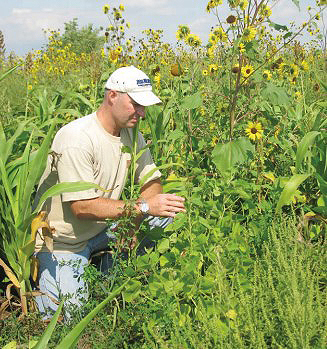 In addition to the normal agricultural varieties of soybeans there are a few food plots specific varieties on the market. Ag beans are easier to come by and are cheaper but there are varieties specifically designed for forage (green leaf) production that should also be considered. Lablab is a summer bean with a high drought tolerance. They are very popular in Texas and the South East for that trait. They come in with a protein range between 21 and 28%. Once established, lablab’s high protein makes it excellent for deer throughout the summer and fall until a killing frost. In the north, I prefer to plant it with sorghum or sunflowers to provide a stalk for the vines to climb up. This will help increase its productivity since it is vulnerable to early grazing pressure, and just like soybeans I recommend planting in larger fields at a rate of 10 lbs. per acre and a depth of 1/2" once soil temperatures are above 65.
game birds like pheasants or turkeys. 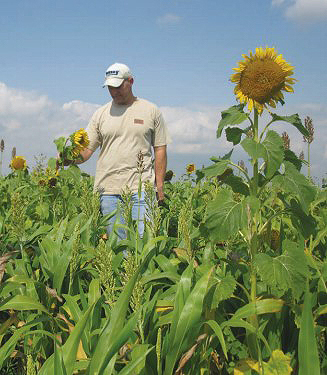 Most people wouldn’t think of sunflowers as food plot option for deer. In our area of the northern plains, a harvested sunflower field attracts deer like an ice cream stand does kids in the late season. They seem to really love the harvested heads and with 19% crude protein in a sunflower, I can see why. They also benefit a multitude of other wildlife. Sunflowers should be planted 1 to 1 ½” deep at 3 to 4 pounds per acre. Planting sunflowers can begin anytime after soils have warmed to 50 degrees F.
One of the real advantages of the sunflower is that its vigorous growth and robust size make it very competitive with most weeds. By applying a pre-emergent herbicide such as Treflan or Prowl and then row cultivating at least once after the sunflower seedlings are established, weeds can be managed. For grass control after sunflowers have emerged, Poast and Select are available. I prefer to add sunflowers into a mix and rotate it to offset my monocultures of corn and soybeans. It’s quite easy to mix and create your own warm season annual blend or you can purchase a pre-packaged offering. As an alternative to corn and beans or if it was too wet in the early season, I often turn to an upland mix. BioLogic makes a great mix called BioMass. It’s a blend of peas, beans, sunflowers and grain sorghum for spring and summer planting. It’s developed to provide much-needed nutrition for your deer herd during critical warm summer months. Additionally, a mix like this benefits your wild turkeys and upland birds too. In the northern plains, pheasants absolutely love this type of plot. When I am hunting pheasants, this planting is where I typically find the most shooting. A mix like this is also my preferred method of planting a plot screen. By mixing equal parts tall Sudan grass or Egyptian wheat with, lablab and sunflowers it creates a great screen that is thick, lush and tall. I prefer to use a no-till drill and plug alternating holes but you can also plant this mix by spreading the seed on a well-prepared seedbed at twenty-five (25) pounds per acre, and then using a culti-packer or harrow to cover the seed. BioMass All Legume (not to be confused with regular BioMass) is another mix that includes soybeans, lablab and iron & clay peas. I'd consider this a great addition for spring and summer rotations to add more protein to your offerings. Because the blend only contains legumes you can eliminate weed competition with selective herbicides to specifically target the competition. You can use Pursuit or Raptor to target the broadleaf weeds and grass selective herbicides like clethodim (Select, Arrest, Volunteer) or sethoxydim (Poast, Vantage). Those herbicides can be tank mixed together to save trips and fuel by spraying in one pass. Easy to plant and grow, this is a mix I would recommend for summer use and also to food plotters in the southern US. Once the deer have used it up you can easily double-crop the area by broadcasting or drilling a cool season annual into the stand in late summer. 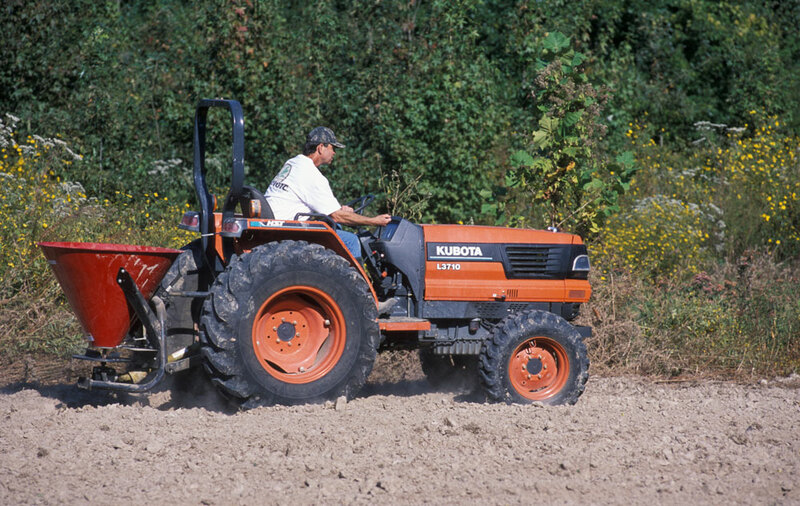 While it’s possible to create even large annual plots with hand tools or small equipment like an ATV, you’ll get better results with larger equipment. For corn I really prefer to use a row planter. If you can borrow or rent one of these your stands will improve dramatically. With proper seed metering and spacing the plants have the proper room to grow and succeed and you can maximize your yield. It also makes spraying and fertilizing during various growth stages much more efficient. Soybeans, sunflowers and sorghum are also readily planted with a row planter if you have the proper seed plates and timing settings. If you don’t have the option of renting or borrowing a row planter another option is a drill, preferably a no-till variety. Several advantages of a no-till drill are lower fuel consumption, moisture conservation and less soil erosion. By making only one pass with the drill you cut down on fuel and keep the soil from becoming compacted. With the ability to plant seeds by cutting through field residue you keep valuable moisture from evaporating. I try to till as little as possible and prefer to plant soybeans and many mixes with a no-till drill. I have planted corn with them, but the stands just aren’t as good due to the imprecise metering of seed. The drill places seed right through the stubble and trash, with the ability to change seed depth and packing pressure, depending on soil moisture. If the soil is wet use less down pressure. Wet soils can be easily compacted and makes seedling emergence more difficult. Another option I like about using a drill is the ability to plug some of the seed cups and drill rows. I like to plant soybeans and mixes in 21 inch rows to make spraying and fertilizing easier. We all like to have great looking, straight rows and crops but we aren’t farming for production, we are trying to farm for wildlife. Sometimes we forget it’s not “our eyes” and preference we should be playing to/for, it’s the wildlife’s benefit. Deer and other wildlife prefer diversity in arrangement. It’s certainly easier to just go out and plant an entire field or plot into one single monoculture. It takes a lot less time, but when your goal is creating a food plot that feeds deer and gives you a better opportunity to view and hunt them, that’s not the best plan. We’ve all heard that deer are an edge animal. 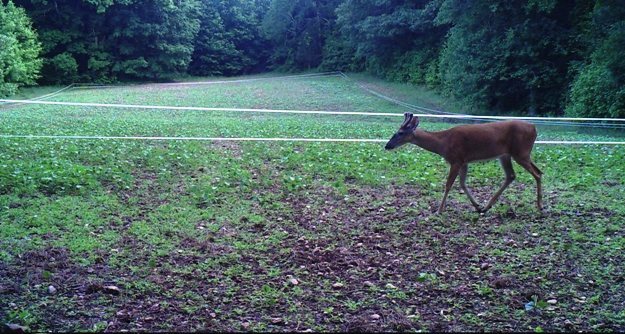 A recent study on deer feeding patterns yielded some new information. 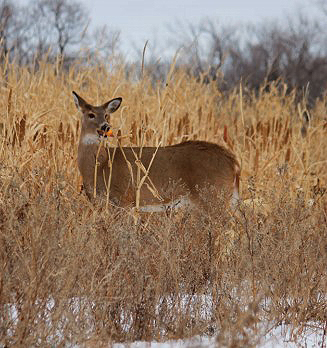 When working on his master’s thesis at South Dakota State University, Josh Delger found that deer prefer corn plots with little weed competition. In fact, deer foraged in herbicide treated areas twice as much as in untreated stands of corn. Perhaps the most interesting part of his study showed that deer did not use corn rows in proportion to their availability, but preferred to feed on edge rows three to one. 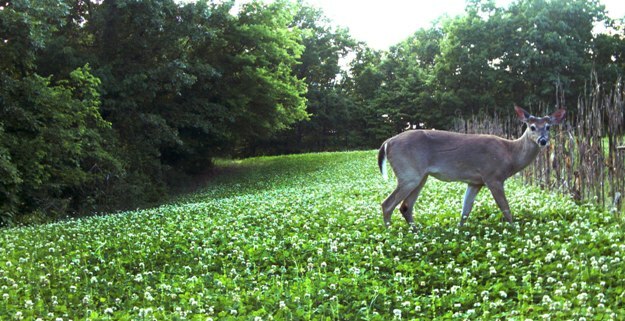 How does that play into food plots? By staggering your plantings side by side you create more edge. By using tall screens of standing corn, sunflowers or warm season mixes, you also create edge. Combine that with planted rows of Roundup Ready soybeans and you have a recipe for variety, preference and security. When you are planning your food plot layout consider dividing that large feeding plot into sections. I like to alternate 10-12 rows of corn and then 10-12 rows of soybeans. This way I can spray them with glyphosate at the same time and it provides significantly more “edge” in my larger fields. Consider adding some warm season annual grains to your plots and using this edge effect concept in your plans this year - you’ll be pleased with the results.